Infinix Hot S 3 Price In Bangladesh. Infinix Hot S 3 is the latest 4G enabled Dual SIM smartphone comes 13 Mega Pixel camera with dual flash by the Global brands Infinix. Infinix Hot S 3 brings a 20MP front camera with bokeh technology giving an excellent selfie effect. Plus, with video chat flash, it can easily shoot your beautiful moments even in low-light condition or at night. Facing the camera, laughing or grimacing, your youth need be shown. All information is collected by their website. 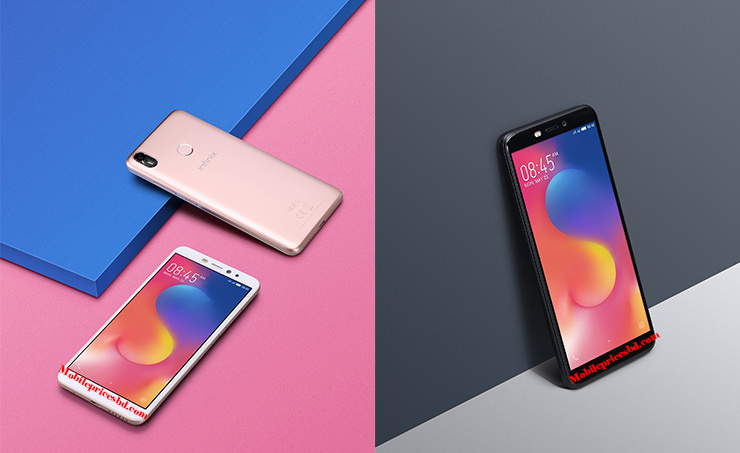 Infinix Hot S 3 smartphone was launched on 23 January 2018. The phone comes with a 5.65-inch touchscreen display with a resolution of 1440 pixels by 720 pixels at a PPI of 285 pixels per inch. It measures 158.6 x 75.8 x 7.2 mm (height x width x thickness) and weigh 165.00 grams. 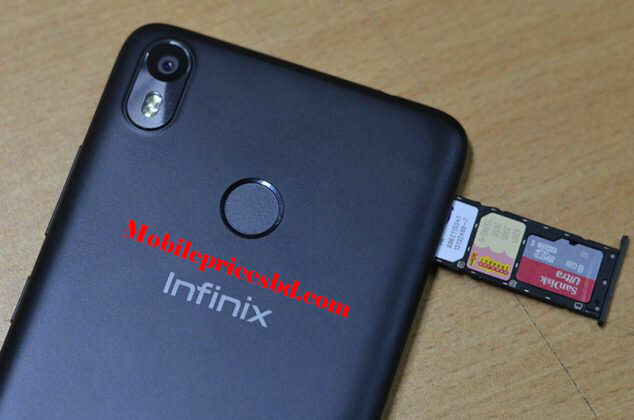 Infinix Hot S 3 is a Dual (Nano) SIM (GSM). Connectivity options include Wi-Fi, GPS, Bluetooth, 3G, and 4G. Sensors on the phone include Compass Magnetometer, Proximity sensor, Accelerometer and Ambient light sensor. 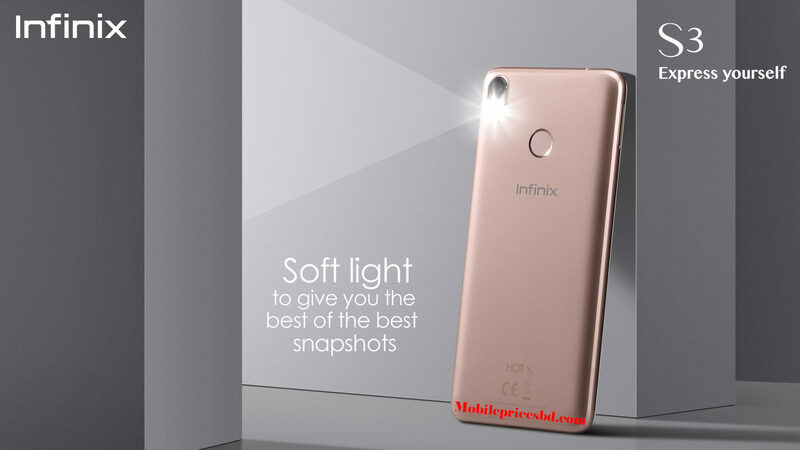 As far as the cameras are concerned, Infinix Hot S 3 packs a 13-megapixel primary camera with dual LED flash on the rear and a 20-megapixel front shooter for selfies with soft dual LED flash. Infinix Hot S 3 is powered by Octa-Core 1.4 GHz.Cores Quantity 8. Infinix Hot S 3 comes with 3GB of RAM. The phone packs 32GB of internal storage that can be expanded up to 128GB via a microSD card. Infinix Hot S 3 is powered by a 4000 mAh Li-Poly (Lithium Polymer) nonremovable battery. This Infinix Hot S 3 is a flagship Smart Phone from Infinix Mobile Company. now Infinix Hot S 3 is available in Bangladesh mobile market from 23 January 2018.